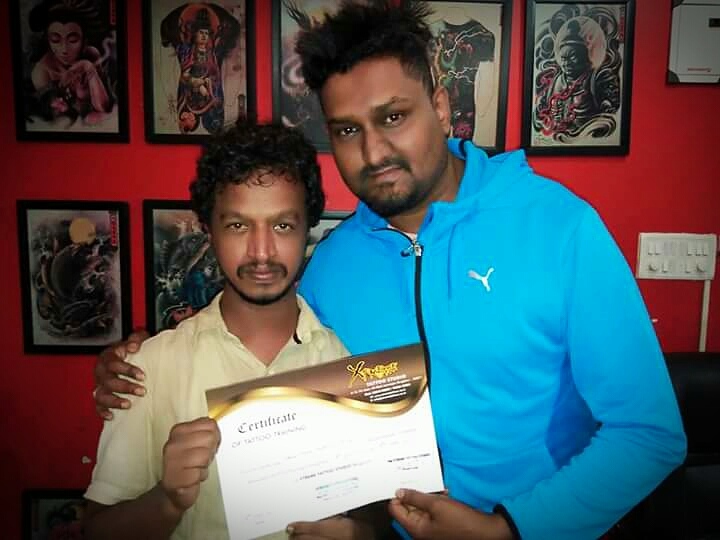 Xtreme Tattoos is one of the leading tattoo training centers Bangalore providing a unique experience with quality standards. 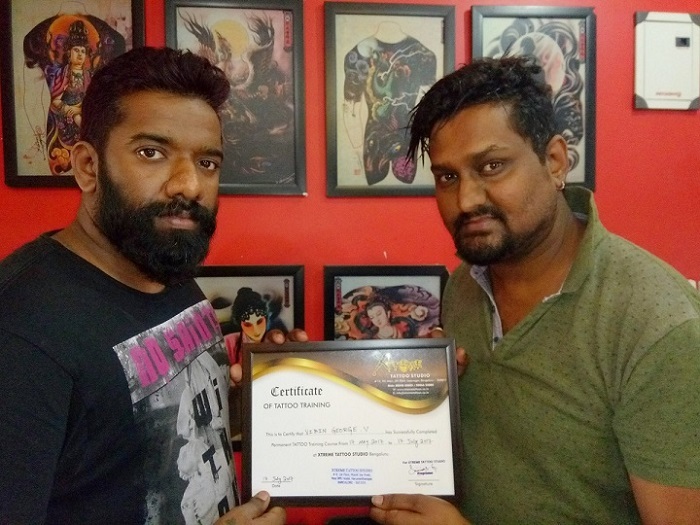 Tattoo Training Institutes Bangalore, Over the years of providing tattoo training, we have developed a mature and refined course structure, which covers what we feel are the eight most important points to not only knowing how to perform safe and high quality tattoos, but how to use this knowledge to become a professional tattooist. 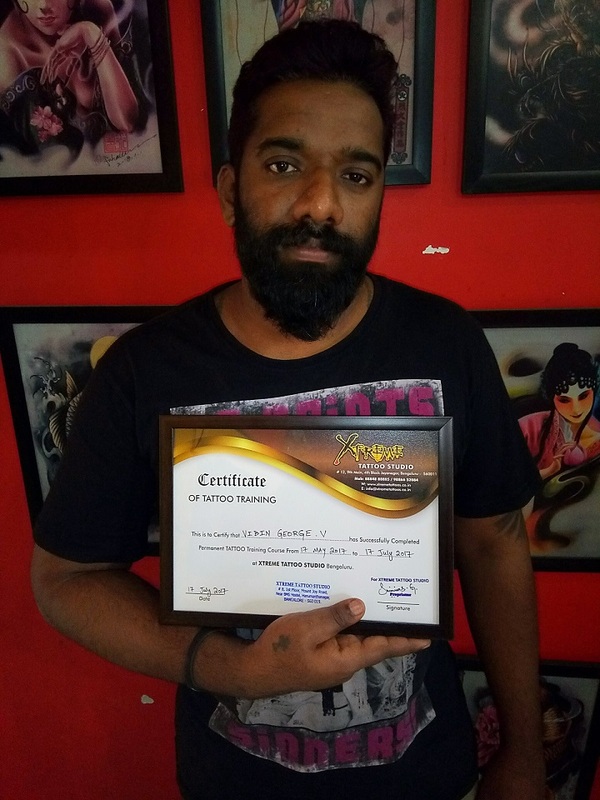 If you are looking to learn how to tattoo, then our courses will provide you with all the information you need, to set you up as a professional. 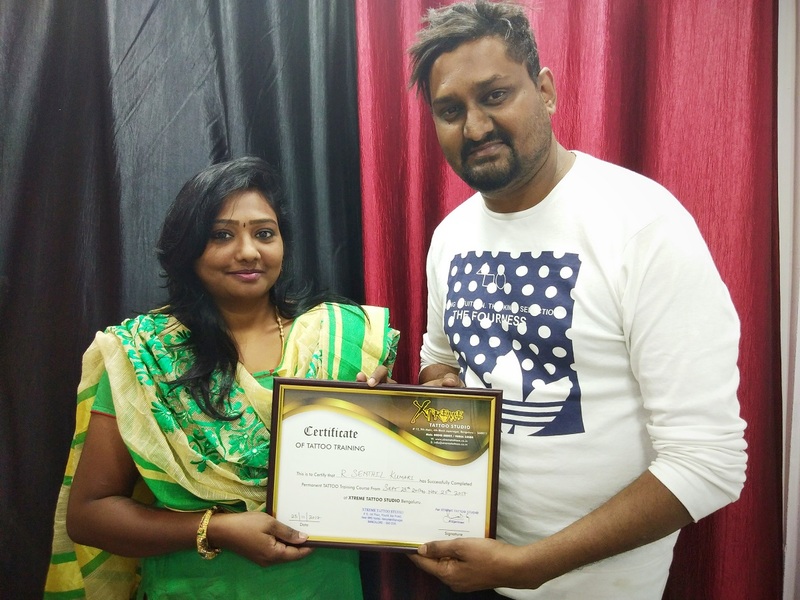 Tattoo Training Institutes Bangalore: Our course has been designed to offer an intensive but well rounded training experience, aimed at getting you ready to pursue tattooing as a profession, as soon as you finish your training. How to work with stencils. How to work with blueprints. 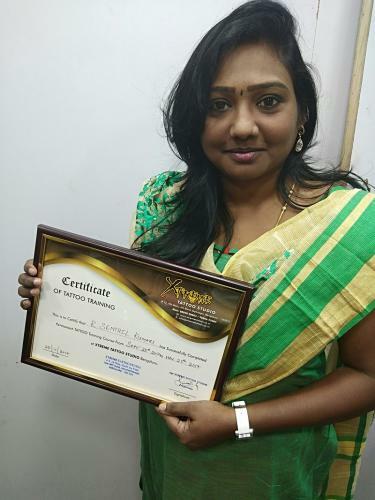 About using an ‘all in one’ printer. At Xtreme Tattoo Studios we host bangalore’s finest & well experienced professional tattoo artists. 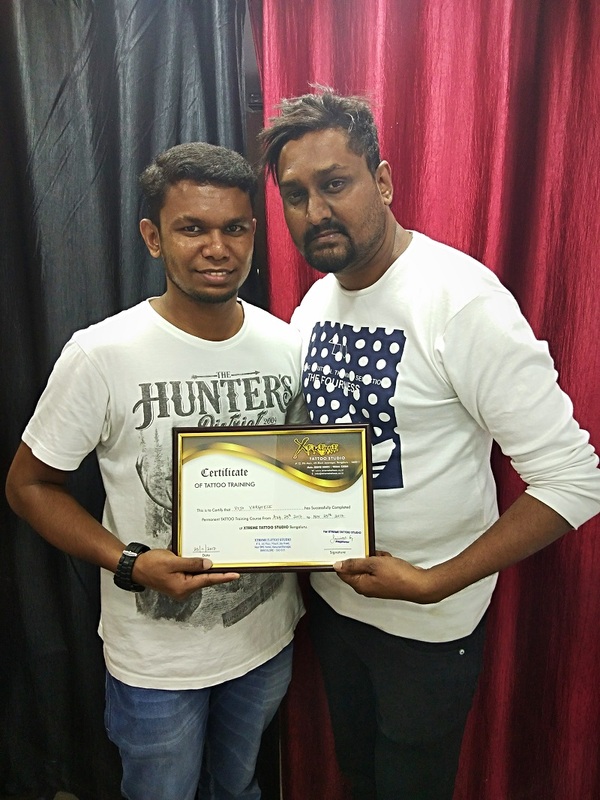 During your training period you will also be mentored by these professionals who will help you learn & acquire basic techniques. 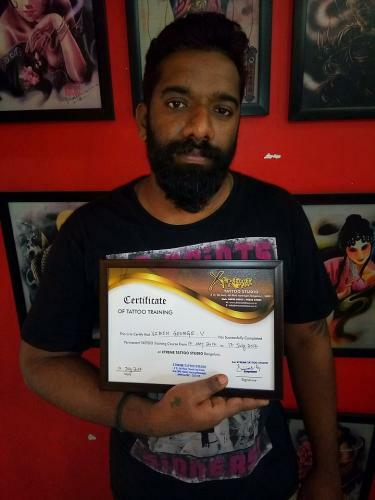 We believe that tattoo is an not just an art, it’s a beautiful thing to ink an individual who comes up with a passion/emotion and fulfilling their requirement gives us immense satisfaction. 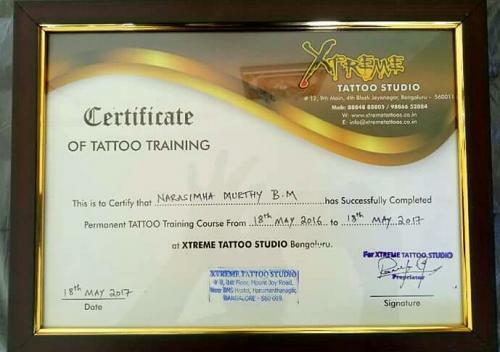 Part 8: Detailed explanation of advanced tattoo tricks & techniques & certification. 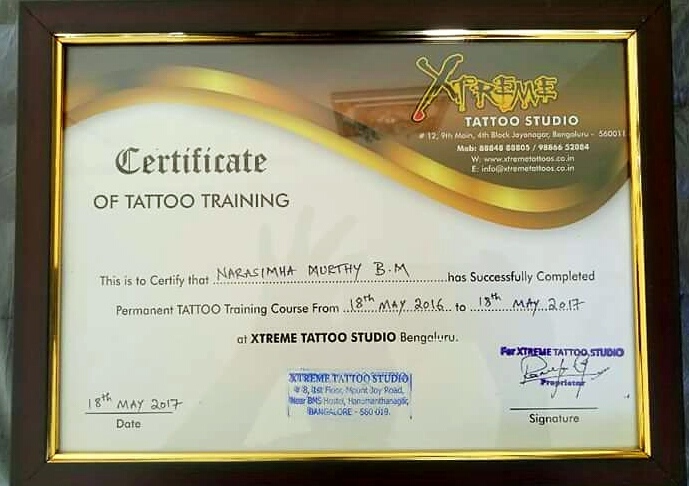 We will ensure that you will leave our course fully qualified to not only create industry class tattoos, but to be able to do so whilst observing the stringent and necessary health and safety guidelines, Tattoo Training Institutes Bangalore.